I only have four poses from an unknown maker. Three are marching and one is preparing to throw a grenade. 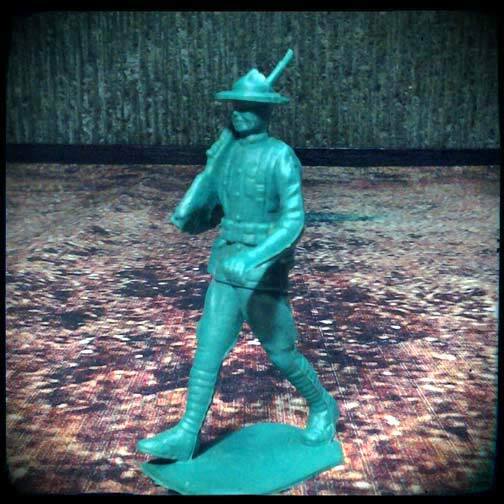 One of the marching men is wearing the M1912 campaign hat with the Montana-style peak, commonly seen by parading troops arriving in France, but not seen at the front. On his back though, together with his pack is his Brodie-style helmet. 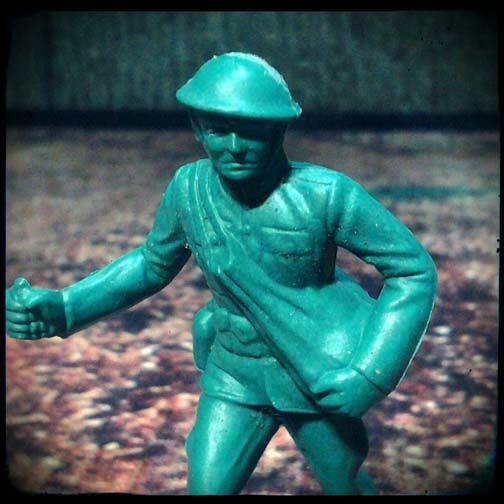 When the first American troops landed in France they were were not ready for the trenches supply-wise and found they had to rely on Britain and France for much of their equipmenty and supplies, so that by the time they first saw action they closely resembled the British soldiers. 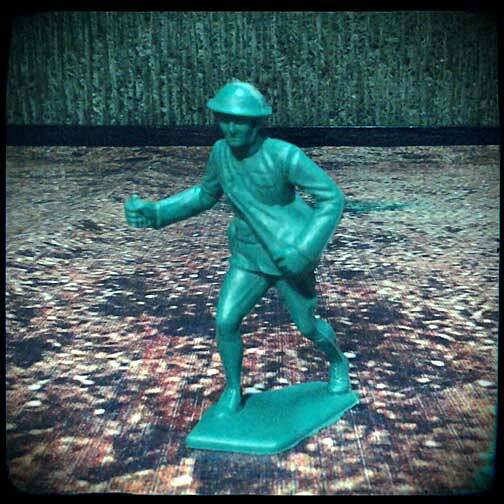 The other marching figure is wearing the peaked cap but without a pack and helmet. 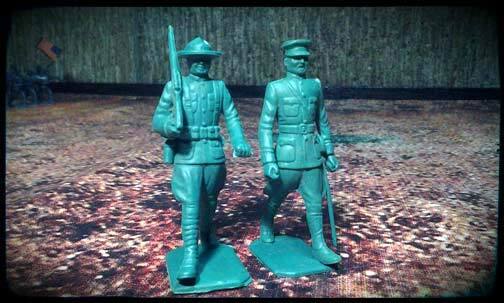 Both figures are wearing the practical puttees as well as the ten pouch rifle belt. 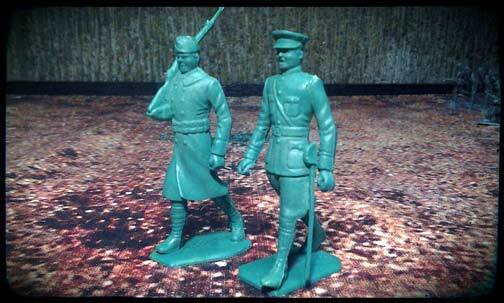 Lack of equipment such as the gas mask bag and heavier packs seem to place these figures as far from the front, probably on exercise at the rear. The grenade thrower has a bag slung across his chest and a grenade in his right hand. The Mk 1 grenade is a fragmentation hand grenade used by American forces during World War I. The MK 1 is a time-fused fragmentation grenade and has 32 serrations on it. To start the fuse, the user has to pull the safety pin, then push off the cap on top of the grenade. Right before throwing, the user has to move the switch on the lever away from the grenade in order to start the fuse. This was quite difficult to use in the field. The grenades were often not ignited properly before being thrown, and enemies would return the grenade, this time properly lit. The MK 1 was immediately recalled and production stopped. Unused Mk 1 parts were used to make Mk 2 grenades while factories were retooled to make the Mk 2 "pineapple." 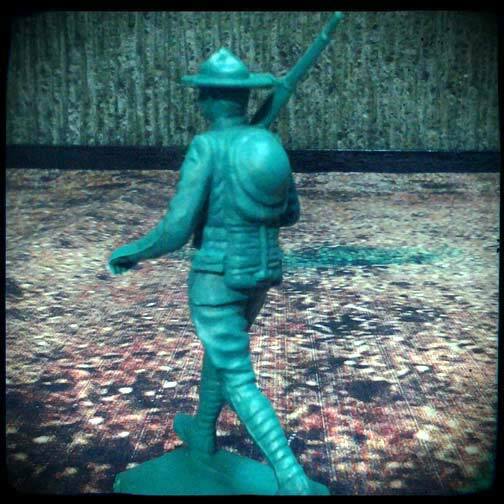 The figure reminds me a lot of Gary Cooper in the 1941 film "Sgt. York." I'm a fan of HäT Industrie's small-scale figures and soon decided that I needed an army of their Polybian Romans. I mean -- who doesn't need an army or two? 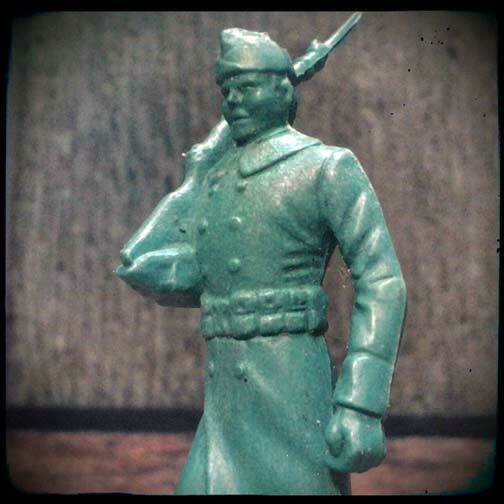 My Polybian legion is currently composed of various HäT Industrie 1/72 plastic scale models. 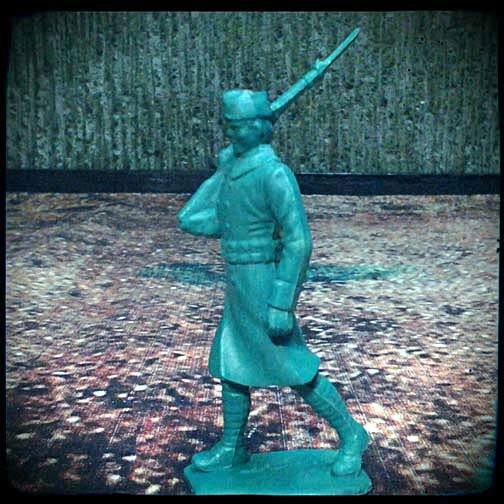 The company is a designer & manufacturer of 1/72 and 1/32 scale soft plastic and 28mm hard plastic military miniatures designed with the plastic toy figure collector, wargamer or hobbyist in mind. I've included notes taken from Wiki regarding the figures depicted. 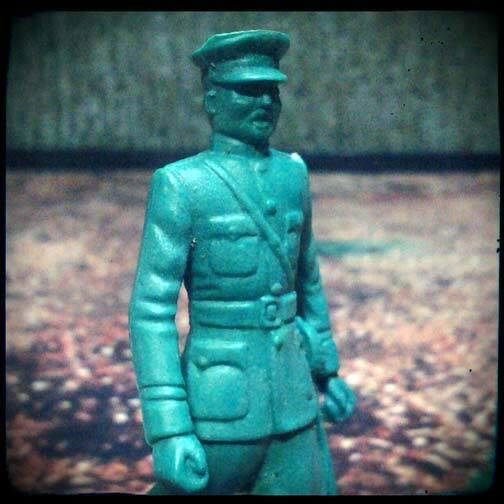 The Airfix range of military figures is one of the iconic brands of plastic toy soldiers I grew up with. Airfix is a UK manufacturer of plastic scale model kits founded in 1939 by Humbrol and currently owned by Hornby, a famous UK model railway brand. This is the latest reissue of their classic Deutsche Afrika Korps, the German expeditionary force in Libya and Tunisia during the North African Campaign of World War II. The box contains 14 figures. 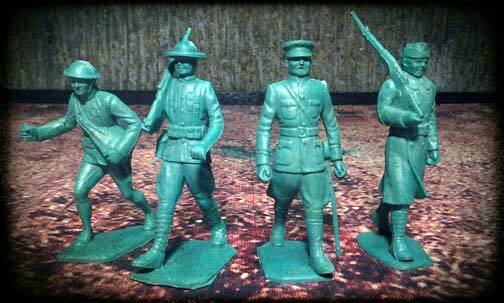 Click the picture above to go to the Airfix webpage for these figures. 1:72 Polybian Roman army for De Bellis Multitudinis. Hat Industrie figures.